Westport Area Skating Club - Welcome! Wilton Cheese Fundraiser was a success. Thanks to all who participated. Congratulations to all of our skaters that attended Snowtown Invitational in Watertown 2019. We look forward to bringing more skaters with us next year. Power Skating is currently not being offered by Westport and Area Figure skating club. Please download the appropriate form and bring to the registration session or the first day of skating. September is almost here which means back to the rink! Our registration day for the 2014-2015 season will be on Saturday, September 6th from 8-10am at the arena (upstairs). 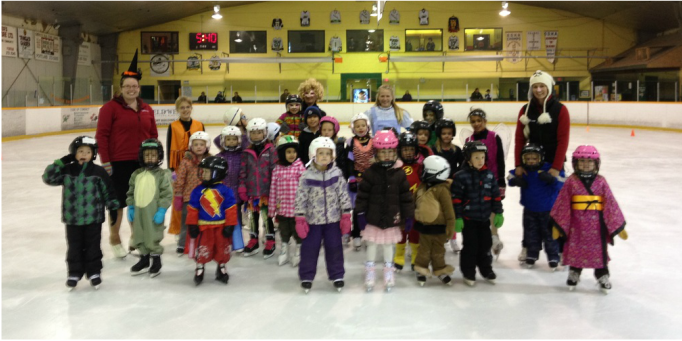 The first day of Canskate will be on Monday, September 15th 2014 from 5:30 to 6:20pm. The first day of PowerSkating will be on Thursday, September 11th from 5:30 to 6:20pm. Lastly, StarSkaters will begin their season with a 1-hour skate on Saturday, September 6th at 8am. If you're looking for a more convenient way to keep up to date with the clubs activities, join our Facebook group! We'll be posting dates to remember, announcements, skating pictures etc.